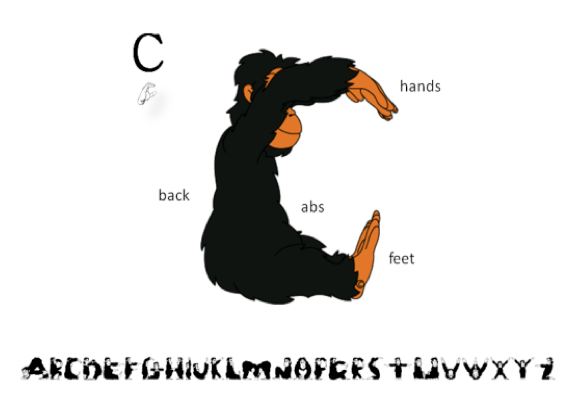 Alphabet Fitness’ anatomically designed kid-friendly alphabet fonts help kids readily learn their ABC’s and 123’s through balanced upper and lower muscle movements and focused feet. Introducing letters and numbers through playful workouts, dance, and yoga-like movement techniques teaches relaxation, body awareness, muscle toning and motor planning, hand-in-hand with early literacy skills. Please use the drop-down menu under Our Fitness Fonts to get to know our playful font family and to begin exercising! Print out and post on wall for kids to exercise with their bodies and buddies. BostonHeraldNIE.com Teachers, order your free classroom copies of the online Boston Herald Smart Edition now. WHAT’S ALL THE BUZZ ABOUT? CLICK THE BEE’S FOR OUR FUN ACTIVITIES! Wellness Inc. and the Alphabet Fitness website do not request nor collect personally identifying information from children under age 13. 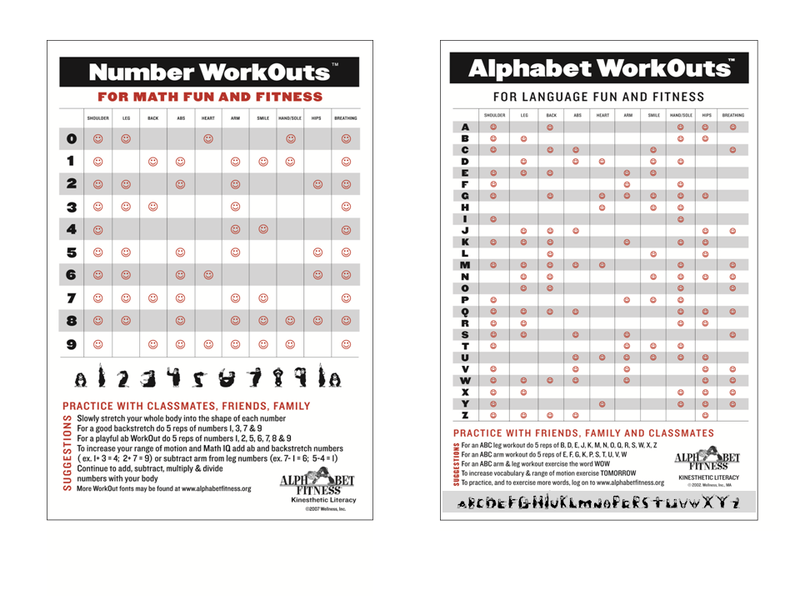 Alphabet Fitness infuses a more playful, health-focused Alphabet learning & fitness paradigm into the field of Early Alphabet Education. Our 2000 year old alphabet technology needs an update for 21st Century kids' learning & wellbeing. Generations of stationary, audio-visual fine motor education has imbalanced the healthy growth of children's brains and bodies along with the alphabet’s ability to function accurately as a mostly fine-motor, upper body communication tool. 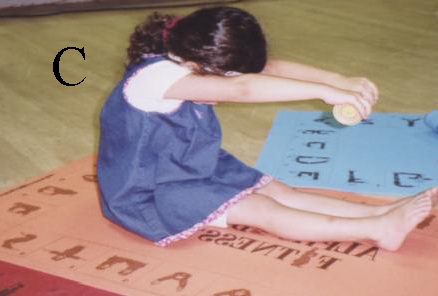 To reverse this trend, Alphabet Fitness engages the child’s full body into the learning experience by introducing movement-based alphabet fonts and related activities into early alphabet education. 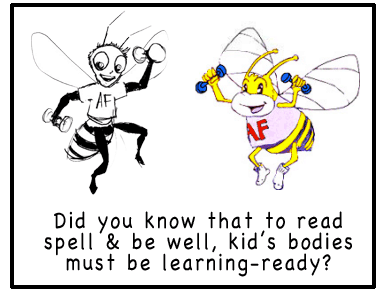 Just as learning sign language, or a second language, expands children’s minds, Alphabet Fitness develops more body-lingual©, physically and mentally connected kids! Alphabet Fitness has supported disaster relief efforts through partnerships with the Boston Rotary and Shelter Box International. Please contact us if you are interested in exploring a partnership with us. Alphabet Fitness is growing. Our literacy and fitness programs invite children of multiple world languages to read, write, spell and be well. WHO IS MOVING OUR LIPS, HIPS, AND FINGERTIPS IN THE DIGITAL AGE? Looking at the ‘scent of alphabets’ in the age of Twitter, Emoji, and AI.